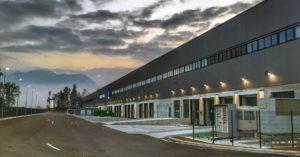 Kuehne + Nagel has opened a dedicated pharma & healthcare warehouse near Ljubljana in Slovenia. It will be used for the storage and distribution of production materials for the pharmaceutical industry. The facility has a capacity of about 65,000 pallet locations for reception, storage and distribution of temperature-sensitive products and includes three cold chambers to handle temperature requirements of 15 to 25°C and 2 to 8°C.